Dr. Sawant is the Managing Director and Co-founder of Maharashtra Knowledge Corporation Limited (MKCL). Mr. Sawant started his career as Lecturer at Fergusson College, Pune during 1979 to 1987. He was later on invited by the Symbiosis society as the Deputy Director of Symbiosis Institute of Computer Studies and Research. 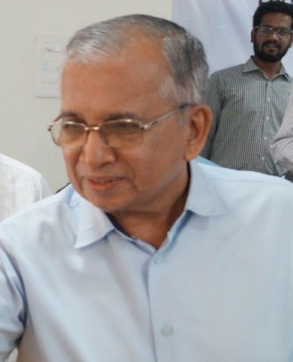 After a short stint at Symbiosis, he joined Center for Development of Advanced Computing (C-DAC) a national flagship R&D mission to design and develop India’s indigenous PARAM Supercomputers. During his tenure at C-DAC he founded the nationwide network of Advanced Computing Training Schools of C-DAC. After a long tenure at C-DAC, Mr. Sawant was invited by the Hope Foundation as the Director of International Institute of Information Technology (I2IT), Pune Infotech Park, Hijawadi, Pune. He made pioneering contributions during the years 2000 to 2002 at this institute in the field of advanced IT education and incubation of innovative start-up enterprises in IT. Mr. Sawant has served on many committees at state and national level including the Prime Minister’s IT Task Force. He is the co-author of the Pradhan Mantri Gram Sadak Yojana. He has served on Boards of Studies and Academic Councils of several universities, academies and boards and is also an honorary fellow of Maharashtra Academy of Sciences. His areas of interest include research and development in eLearning, eGovernance, eEmpowerment of communities, building knowledge society and building life long learning communities. Mr. Sawant has been felicitated by various awards for his distinguished contributions in the field of IT education and IT enabled education. Some of the awards are -- Dnyanasurya Award, Rotary’s Young Recipient Award, Rotary’s Vocational Excellence Award, C-DAC’s Awards of Honor and Distinction, Maharashtra IT Award in HRD 2004, and the Yashokeerti Award of Computer Society of India to name a few. Graduate in Electrical Engineering from Osmania University. Joined MSEB as Junior Engineer and subsequently worked in various capacities as Superintending Engineer, Chief Engineer, Director-Technical and Technical Member of Board. After retirement Technical Advisor to Board. Visited many countries in connection with Power Development and study. Published papers at National and International level. Also Guest faculty for CME Pune and Engineering Staff college of India, Hyderabad. Born in Agriculture rural family. Graduated in Civil Engineering from University of Pune securing first rank and gold medal. Joined irrigation department of Government of Maharashtra & served in various capacities. Managed the work of Maharashtra Water & Irrigation Commission in capacity of Chief Engineer & Secretary and drafted commission voluminous reports (2000+ pages). Handled Inter state River Valley project and received Vanashri Award. Associated with several professional organizations like Sinchan Sahayog, Eitihas Panchayat, Vidya Parishad etc..
B.E. Civil, M.E. 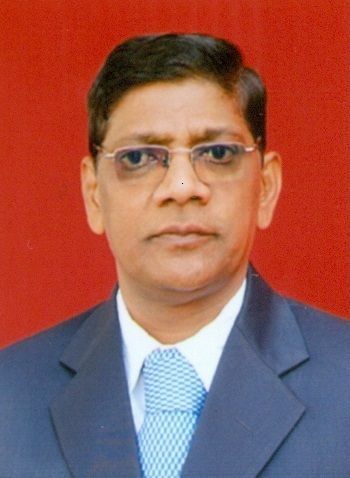 (Germany), worked as Principal, SGGS college of Engineering, Nanded (1983-1999), Professor IIPA, Delhi. At university level Chairman BOS, Member of Academic Council and Dean Engineering. Member of various committees appointed by UGC, AICTE, and Government of Maharashtra. Presented papers at International conferences in various countries. Published 2 books and over 80 papers. Currently working as consultant for Quality Management. Innovation Center and Intellectual Property Right. Ex. Professor of Institute of Chemical Technology, Matunga, Mumbai. Principal of Walchand Institute of Technology, Solapur.